HOUSTON, TX – With the closest margin among three Major Division programs, one point, the Tennessee State Tigers and a repeat unanimous Mid-Major Division selection, Winston-Salem State Rams have claimed the top spots in the TSPNSports & Dr. Cavil’s Final HBCU Football Poll Rankings for the 2012 season. Presented by The Heritage Group (www.THG-Agency.com), an applied data analysis, sports entertainment, educational leadership, and project management consulting company, the HBCU Football Rankings are based on a combination of a ranking algorithms and a voting system. The polls separate the rankings of NCAA Division I, NCAA Division II and NAIA Division I member HBCU institutions into two distinct poll categories: Major and Mid-Major. Unlike the historic SBN Poll which groups all HBCUs together regardless of competition level, the Major Division Poll consists of NCAA Division I Football Championship Subdivision (FCS) [formerly I-AA] programs and the Mid-Major Division Poll includes NCAA Division II, NAIA Division I and Unaffiliated listed programs. This format, first introduced in 2002, was developed in response to requests of Black College fans and based on research that consists of data mining and the difference in scholarship requirements outlined in NCAA and NAIA bylaws (i.e. maximum scholarship allotment: Division I FCS = 63, Division II = 36 and NAIA = 24). 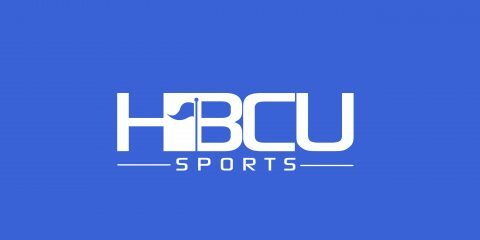 Dr. Cavil’s HBCU Football Weekly Report is proud to introduce its newly redesigned HBCU Football awards, presented at the end of the each football season. The polls are published weekly throughout the HBCU football season and managed by Dr. J. Kenyatta Cavil, EdD, MBA, an entrepreneur, HBCU sports & sport business analyst and lecturer at Texas Southern University in Houston, Texas. Cavil also serves as an Assistant Professor and acting Coordinator of the Sport Studies & Leadership Program at TSU. Solomon brought terror to his opponents to help the Wildcats of Bethune Cookman to a glorious season as the capped a perfect record in conference play as well as MEAC Champions. 29.4 points a game as well as produced 4,665 in Total Offense. Terrance Hackney has been selected to The Sports Network FCS All-America Third team. The 6-6, 310-pound offensive tackle from Chapel Hill, North Carolina is picking up his second All-America award of the year after being named to the BSN All-America squad last week. In 2012, Hackney anchored a Bethune-Cookman offensive line unit paving the way for MEAC-leading 4,665 yards of total offense. Riley becomes a three-time Sports Network FCS All-America at free safety (2nd Team 2010; 1st team 2011). Riley is Alabama State’s career leader in interceptions (21) and interception return yards (348), and ranks first and second, respectively, on the active FCS lists in both categories. This season, Riley tied for the conference leads with four interceptions, while ranking fourth on the team with 55 tackles (39 solo), 3.0 tackles for loss, four passes defense, and one forced fumble. Riley made interceptions in back-to-back games twice this season (vs. Mississippi Valley State / at Grambling; at Prairie View/at Southern). Riley also earned first-team All-SWAC honors for the third time. Goforth ranked second in the MEAC and 26th in NCAA Division I-FCS in all-purpose yards with an average of 134.9 yards per game. He scored three touchdowns on special teams (two punt returns, one kickoff return), broke the NCCU single-season record with a punt return average of 35.8 yards per attempt, and also established a new school record with a 92-yard punt return for a touchdown. Kates who led VUU with five interceptions in 2012, has been selected to play in the 2013 NFLPA Collegiate Bowl, to be played on January 19, 2013, in the Home Depot Center in Los Angeles, CA. Kates, was also fourth on the team with 49 tackles in 2012. He was the only Virginia Union player named First-Team All-CIAA, as well as being Daktronics Second-Team All-American. Kates was 14th in the nation in interceptions. Finished this season as the nation’s fifth best punter (National Collegiate Athletic Association Division II). On 67 punts totaling 2,945 yards, he averaged 44 yards per punt. His longest punt of the season was 66 yards and he had 24 punts that were over 50 yards each. Only nine of his punts were touchbacks; seven were fair caught; and only one was blocked. His 44 yards per punt average is new FVSU record for career average per punt. In addition to the First-Team All Super Region Two selection, Rosenbaum was named First-Team All-SIAC Punter and Place Kicker for this season. As a kicker, Rosenbaum leaves FVSU with practically every record in tow. He holds the school record for the longest field goal (57 yards); the most field goals in a career (37); and is tied for the most field goals in a single game (3). His 37 career field goals rank him third in the nation in that category (In 44 games, Rosenbaum made 37 of 72 field goal attempts for a 51.39% conversion rate). Evans excelled on special teams, finishing third in the nation in both kick returns and punt returns and leading the conference in punt returns with a 18.80 yard per return average. He averaged 31.75 yards per kickoff return. He scored a touchdown each on kick and punt returns.